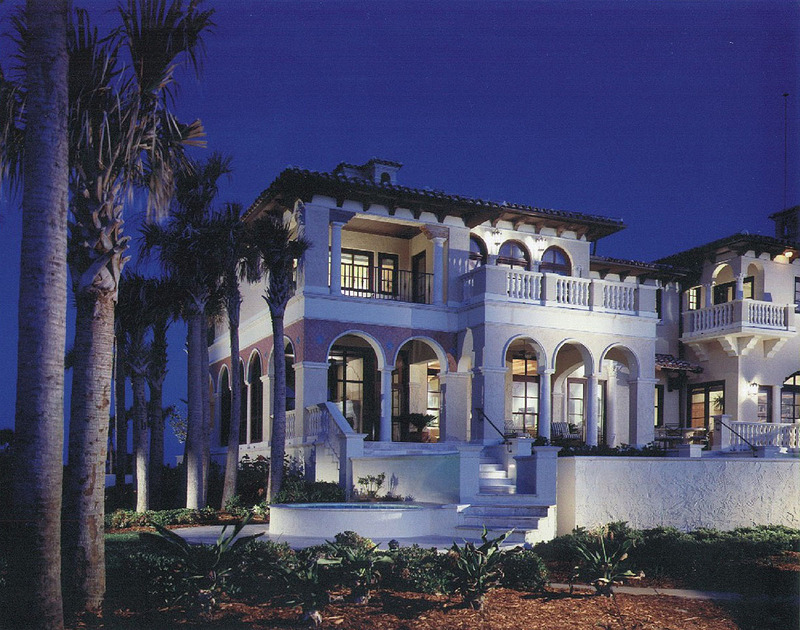 This old style Mediterranean ocean front house was designed using materials native to Florida. The house is elevated on the dunes to provide expansive views from the terrace and pool to the surrounding coastline. 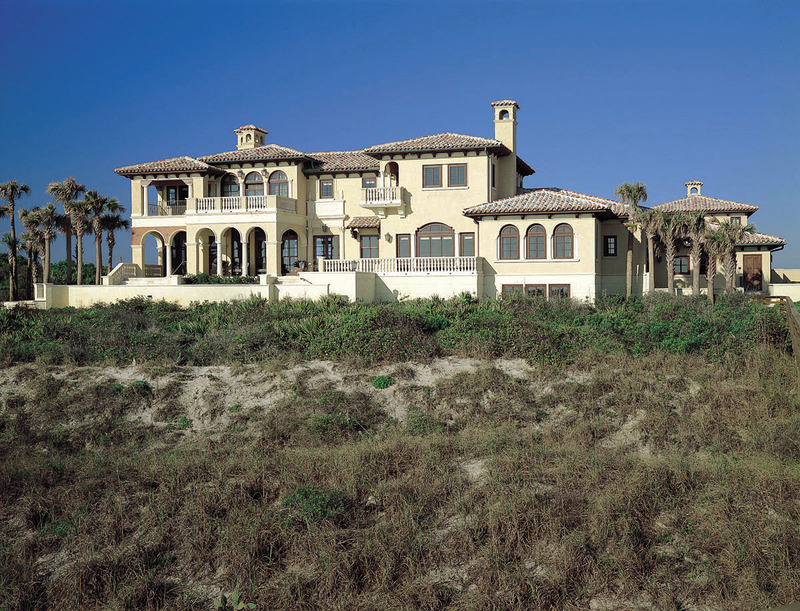 Views from the interior spaces and porches capture the rugged beach vegetation and the Atlantic Ocean to the east as well as dramatic views of the Intercoastal waterway at sunset to the west. A linear trellis defines the path for visitors from the lower parking area up to the entrance courtyard. All of the interior spaces are designed to take advantage of gentle summer breezes and to bring in natural filtered light. The rooms maintain a scale that is intimate, while comfortably housing their large extended family. 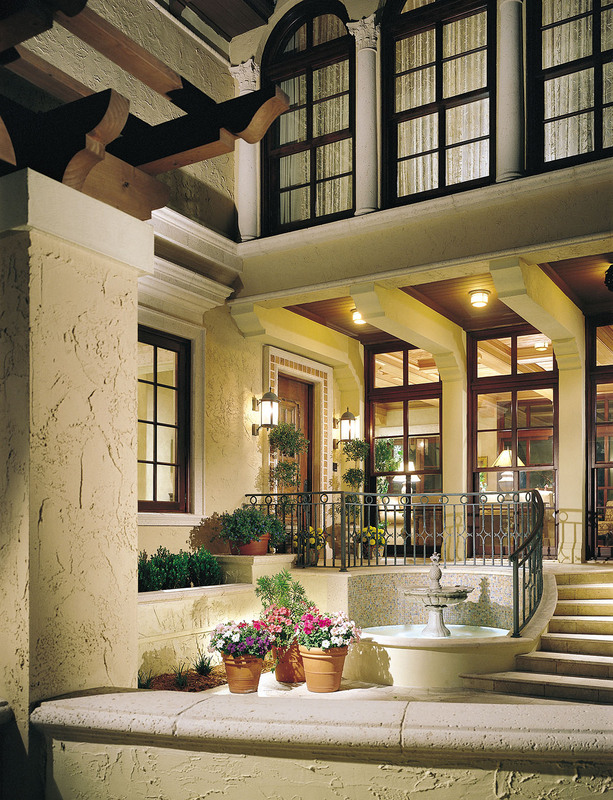 Attention to detail is evident in the patterned cypress ceilings, bronze hammered railings, hand-carved coral stone and decorative tile patterns. This house received the Mellon Greeley Award for Craftsmanship from the Northeast Florida Chapter of the American Institute of Architects.